We’ve all heard the saying that “beauty is only skin deep,” and the medical-aesthetic field couldn’t agree more. That’s why, when National Laser Institute opened its doors in 2004, a wonderful world of medical aesthetics came alive and has been changing lives ever since. The genius behind this multimillion-dollar business is Louis Silberman, founder and CEO. His mission is to promote quality education in medical aesthetics and to encourage those who are either seeking a new occupation or advancing skills in cosmetic technology. “Our customer is the career changer or beauty professional who is getting educated for a new career or advancing their career in medical aesthetics,” Silberman says. Prior to the institute’s opening, a cosmetic-technology curriculum didn’t exist. Silberman, who had been passionate about health and beauty, was puzzled by that fact, and he decided to create the first formalized medical-aesthetic school in the country. The institute is a part of the medical-aesthetic segment that trains aesthetic and medical technology. The school focuses primarily on medically based treatments—like laser hair removal, photo facial skin rejuvenation, and tattoo removal—with an aim to educate career changers and beauty professionals. It also offers courses in injection technology—such as botox, dermal fillers, antiaging, and bio-identical hormonal therapies—for medical professionals. Technology is a major factor in Silberman’s business, and, as research con­tinues to develop, the job has become more exciting. 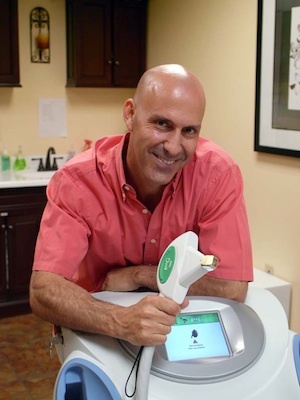 Silberman has been working in the medical-aesthetics industry for the last 10 years, and every year something revolutionary has been developed, which allows his institute to prosper and allows his graduates to offer exciting new options. One of the most recent developments is a laser that performs liposuction. “It’s mind blowing to see how fast technology moves and how technology that has been around for years gets better and more affordable,” Silberman says. The rapid growth and demand for the medical-aesthetic industry is having a positive effect for the National Laser Institute. In 12 months, the company has seen its revenue grow from $7 million to $10 million. When he debuted the institute, Silberman only had three students. Shortly after, following major growth, the institute had over 125 employees and two buildings—in Scottsdale, Arizona, and Dallas, Texas. In the last six months, Silberman opened 10 additional courses across the country in Newport Beach, California; San Francisco; Manhattan; and Hawaii. More importantly, Silberman announced that the institute is going international in 2013, with a move to London. Seventy percent of the institute’s students fly across the world to learn medical aesthetic modalities. “We are teaching people from across the world how to safely and effectively use medical cosmetic devices,” Silberman says. Marketing is huge for Silberman, and his execution in attracting and retaining students, clients, and educators is key to his success. The educational marketing department travels across the country speaking at beauty schools and job fairs, informing industry professionals of the institute’s educational opportunities. Silberman’s educational facilities are the most impressive in the country, and the equipment is the most advanced. The institute has a 98.5 percent retention rate for the teachers and technicians, and a 50–80 percent placement rate for students after completion. Silberman knows that the institute’s reputation is driving his business. Last year, 30 percent of the institute’s educational business was on referral.